The herds of dairy cows are back out in the fields now after being housed through the winter. 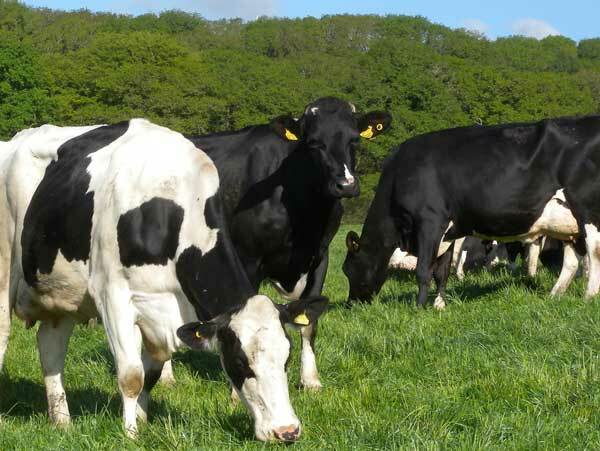 The rich spring grass is the ideal feed to help the cows produce milk. As well as new lambs, there are young calves out in the fields. Now that the weather is warmer, cows in beef herds give birth to their calves out in the fields. 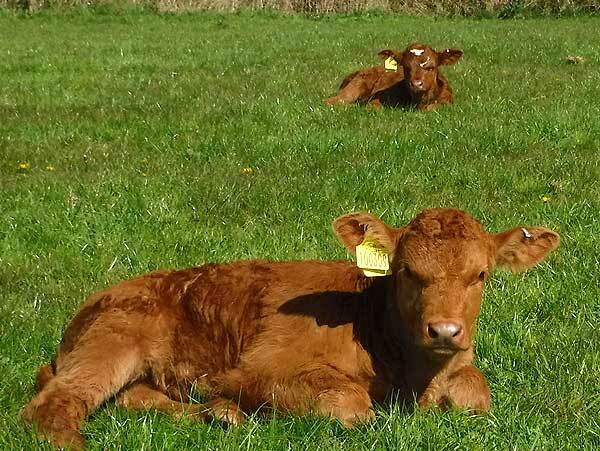 These two calves, enjoying the spring sunshine, are just a few days old. April is a lovely time to be out in the countryside. The first swallows arrive this month, returning from their winter migration, and the dawn chorus of blackbirds and other songbirds can be heard each morning. 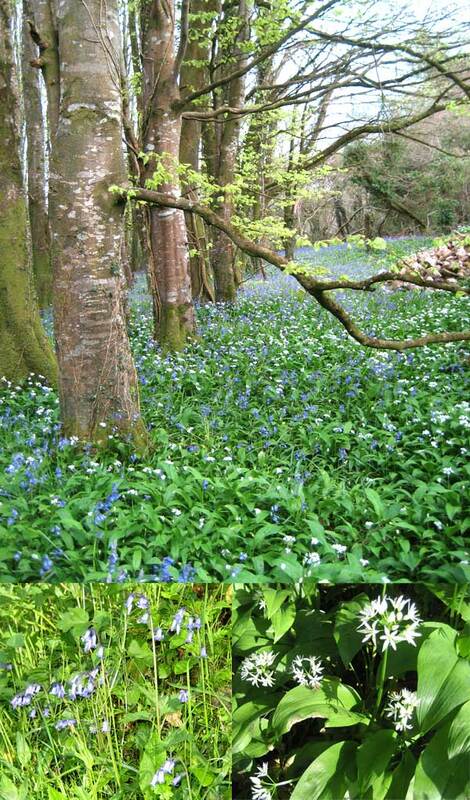 The woods and hedgerows are full of bluebells and the white flowers of wild garlic. The main crop of potatoes is planted at this time of year. 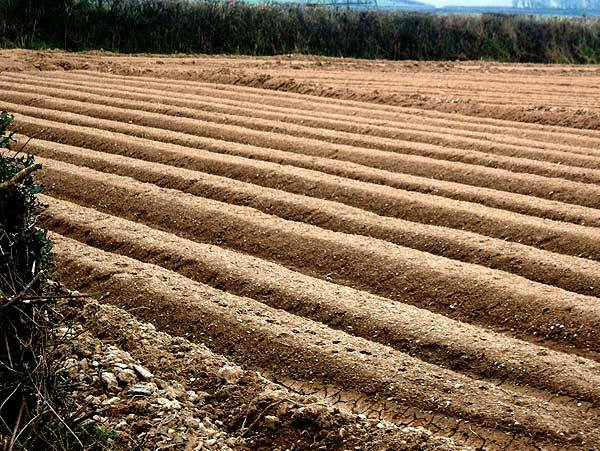 Seed potatoes are planted in rows and the soil is drawn up into ridges around them. When the new plants emerge, the ridged-up earth will protect the crop of potatoes underneath them from late frosts. 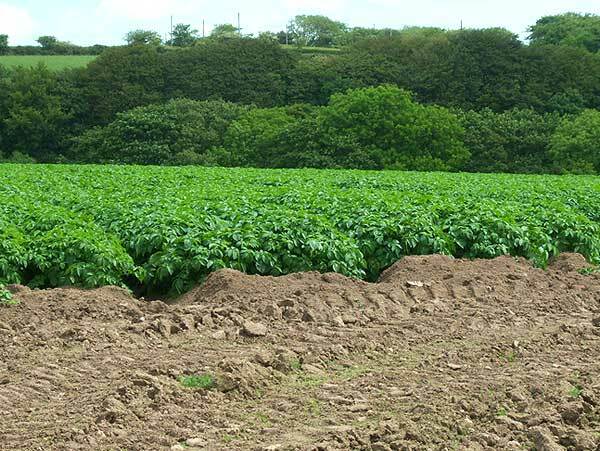 In a short time the potato field will look like this. 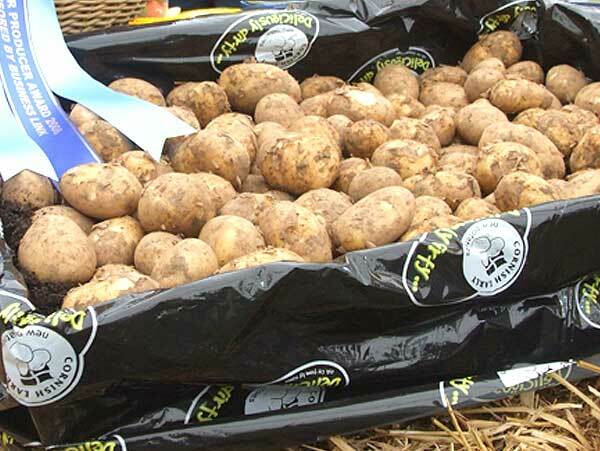 Now is the time to enjoy Cornish earlies, small sweet new potatoes harvested for just a few weeks in the spring. They are delicious just on their own with a little butter or you might like to try this recipe.